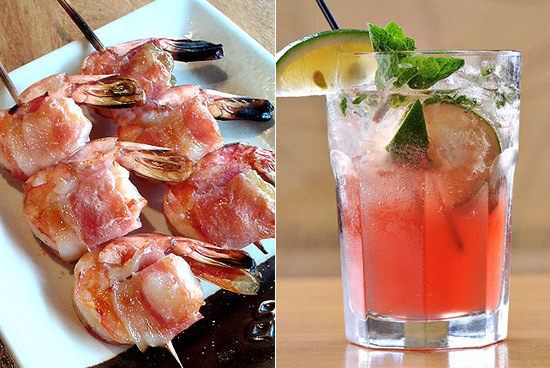 The yakitori-ya launches new skewered options best enjoyed with their fresh cocktails. Open daily from 10 am. 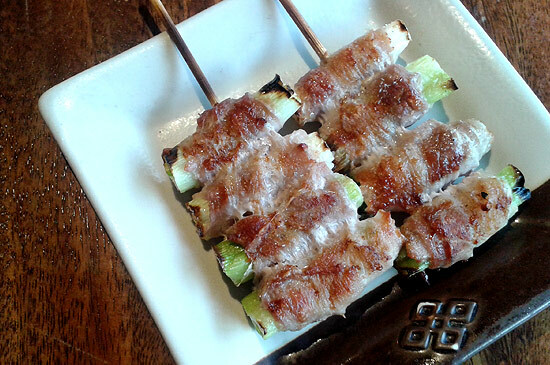 to 11 p.m.
(SPOT.ph) It’s tradition for the Japanese to pair their yakitori with beer. Nanbantei of Tokyo elevates this gustatory tradition by introducing new skewer-grilled selections and carefully concocted cocktails. 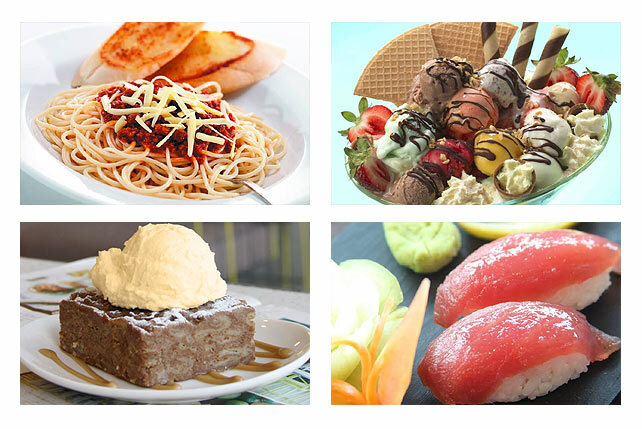 The term "yakitori" has evolved to mean more than just grilled chicken, and the Japanese restaurant takes advantage of this by including more meat and vegetables in their new offers. 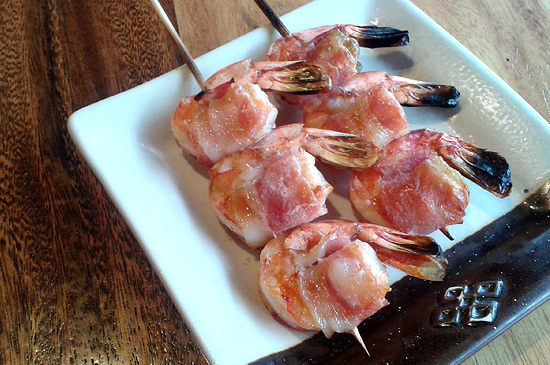 Working with the current menu is the Shrimp with Bacon (P270), which features a balance of flavors, with the lightly seasoned shrimp enveloped in salty bacon. 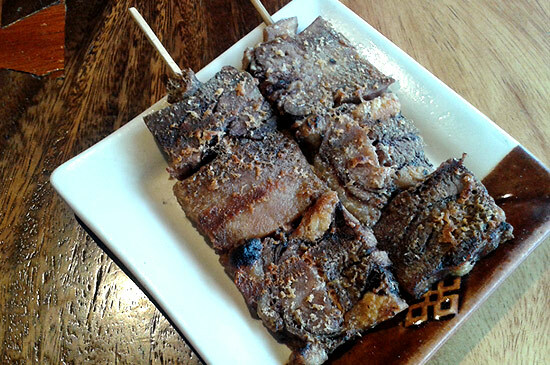 The Gyu-tan (P170), smoky and tender, is best consumed hot to really bring out the tenderness of ox tongue, while thin pork strips add a meaty kick to the fresh onion leeks in Buta Negi (P90). 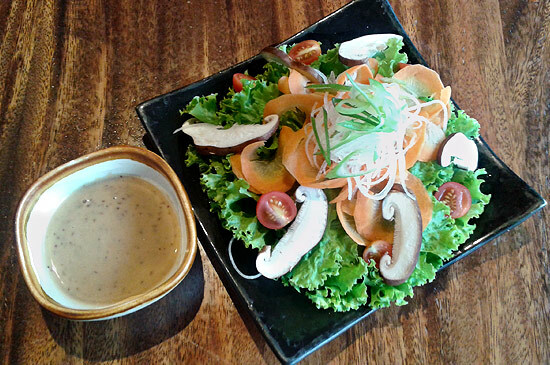 Apart from these yakitori options, Nanbantei of Tokyo has come up with the Shiitake Mushroom Salad (P180)-a light and palate-teasing serving of lettuce, shiitake mushrooms, tomatoes, carrots, and radish topped with onion leeks and drizzled with sesame dressing. 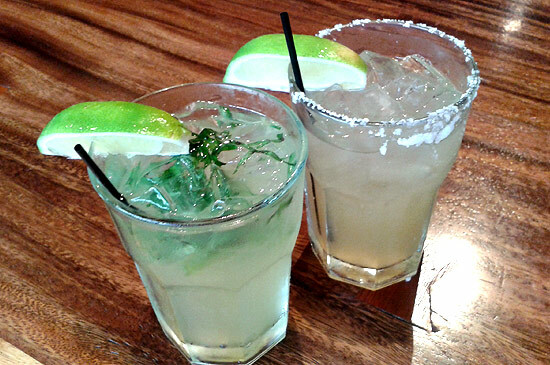 The Hibiscus Mojito (P150) gives a measure of the kind of cocktails you’ll have here. 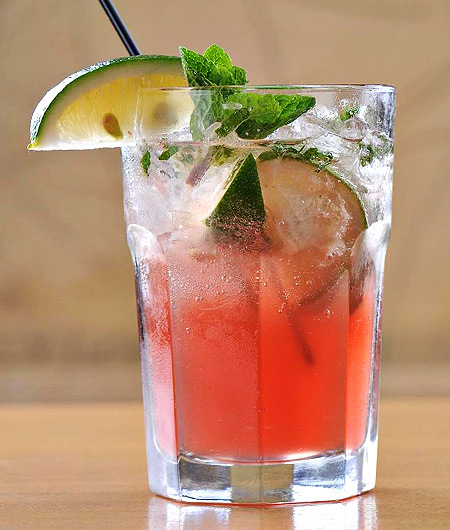 This one is a crisp mix of mint leaves, mojito mint, lime juice, Bacardi white, hibiscus syrup, and soda water. 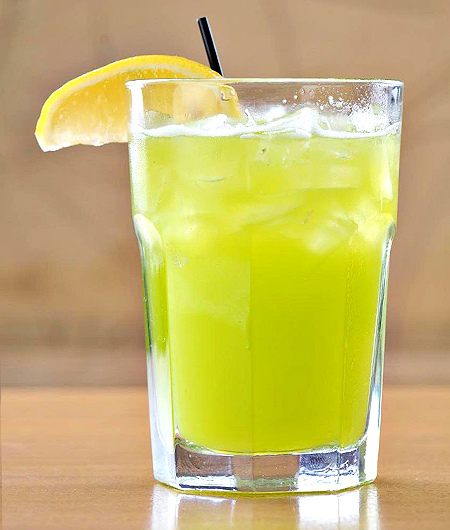 The Malibu Midori (P125) is both sweet and tangy with midori melon liqueur, Malibu rum, Bacardi white, and pineapple juice. The Japanese Mojito (P175) is subtle and relaxing with Iichiko Sochu, calamansi juice, green tea, ooba leaves, and Sprite. 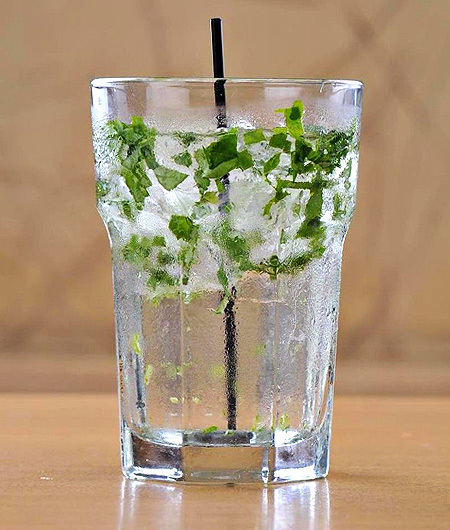 Tanqueray gin, sweet and sour mix, basil, syrup, and Sprite make up the straight choice Gin Basil (P125). 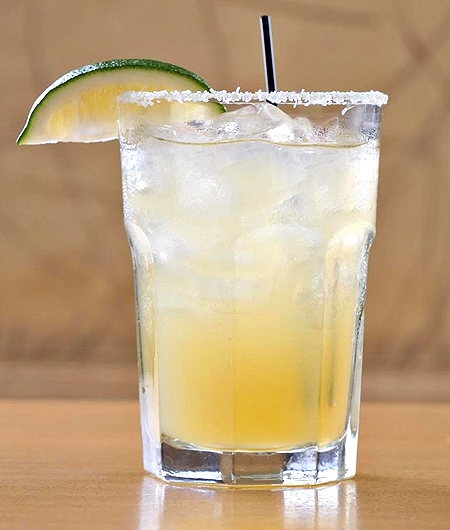 The Fresh Rita (P150) has a slight kick to it with Cuervo 1800, Agave syrup, and lime juice. Old favorites will be hard to replace, but these new yakitori and cocktail pairings from Nanbantei of Tokyo give Japanese dining culture a delicious and comprehensive upgrade.